There remain three Ivy League presidential vacancies — at Princeton, Dartmouth, and Yale. Remember, just a short while ago, when we wrote about how CIA Director and Four Star General David Petraeus was among the possibilities for the Princeton presidency? We still think Secretary of the Treasury Timothy Geithner is on the short list for the Dartmouth presidency, but we have a feeling that the trustees of Princeton University — if they were ever truly considering General Petraeus — have moved along with their search and excluded his name from the short list. Princeton University, after all, likely wants nothing to do with Petraeus’ scandal that has engrossed the nation. I like Ike. 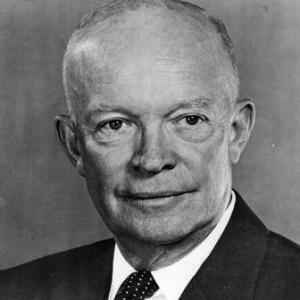 Dwight Eisenhower served as president of Columbia University before moving into the White House. So who do you think should be considered for the top spots at Princeton, Dartmouth, and Yale? Is there anyone that comes to mind? Do you think at least one of these jobs will go to someone from outside of traditional academia? Will it be Hillary Clinton, since she’s stepping down as Secretary of State for the second term? What about Joe Lieberman? He just retired from politics and could probably use something to do. Or what about someone from the world of sports? Maybe Sandy Alderson, the GM of the New York Mets and Dartmouth alumnus? Alderson is the true pioneer of using sabermetrics in baseball (as popularized in the book and subsequent movie “Moneyball”), even if Billy Beane seems to get all of the credit. Or what about someone from the business sector? Governor Mitt Romney could use a job. It would take a bold board of trustees to name a conservative president, since colleges and universities throughout America tend to be liberal and Ivy League colleges tend to be among the most liberal of all. Who else do you think should be considered for the top spots at these most prestigious universities? Let us know your outside of the box ideas on the subject. And send us your inside the box ideas as well to see if you can guess correctly!